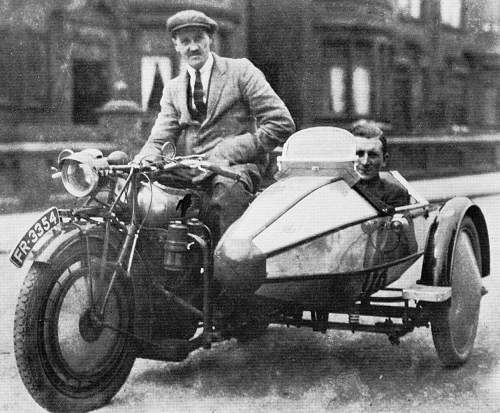 The Swallow Sidecar Company was formed in Blackpool by William Lyons, on his 21st Birthday on the 4th September 1922, with the nine year older William Walmsley as his equal partner. The company was formed with a bank overdraft of £1000 guaranteed by their respective fathers. 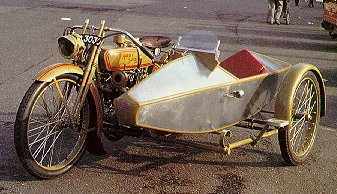 The company was to produce sidecars for motorcycles, a follow-on of Walmsley's previous line of reconditioned war-surplus Triumph motorcycles and fitting of sidecars. 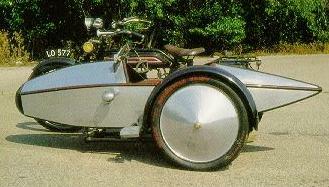 Walmsley had produced the Stockport Zeppelin and this became the first Swallow Sidecar - Model No 1. In spite of the economic stagnation of the early 20's the company bloomed and had their first stand at the 1923 Motorcycle Show. In 1926 the growth was sufficient to enable the company to move into larger premises at Cocker Street and change the name of the company to The Swallow Sidecar and Coachbuilding Company - a reflection of the forthcoming move to coachbuilt car bodies. In an interview for Automobile Quarterly in 1980, William Lyons said "Walmsley and I both used Brough Superiors attached to our own Swallow Sidecars, first the SS90 and then the SS100 model.....Yes, I suppose I did call my first real sports car after it." In 1927 Herbert Austin introduced his famous Austin Seven. Intended to bring motoring to the masses, the tiny Sevens were cheap, easy to drive, reliable, but lacked individuality and it was here Lyons saw another opportunity. He created a stylish two-seater body which mounted on the Austin Seven chassis. With an order for 500 obtained from Henley's, one of the main London garages, production commenced and the Swallow Coachbuilding era had commenced.